Made of cardboard with movable plastic hands, this 12" x 12" Large Clock Dial includes a solar timetable and a history of timetables on the back. 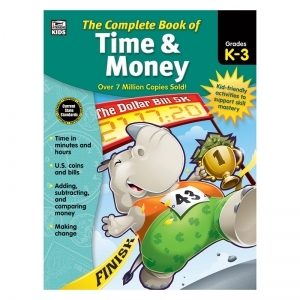 The Complete Book of Time and Money for kindergarten to grade 3 helps children build a solid foundation in telling time and counting money. This book provides focused instruction on time in minutes and hours; US coins and bills; adding, subtracting, and comparing money; and making change. 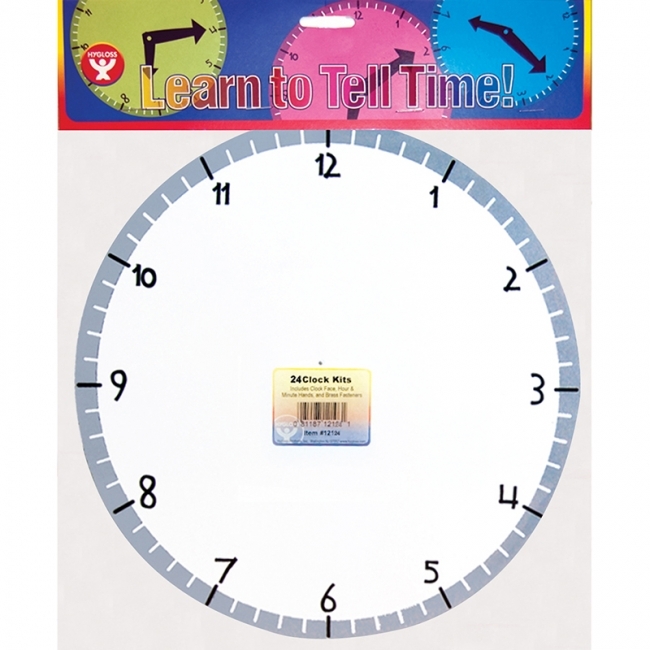 --Filled with fun activities, The Complete Book of Time and Money will help your child learn how to tell time and to count money. 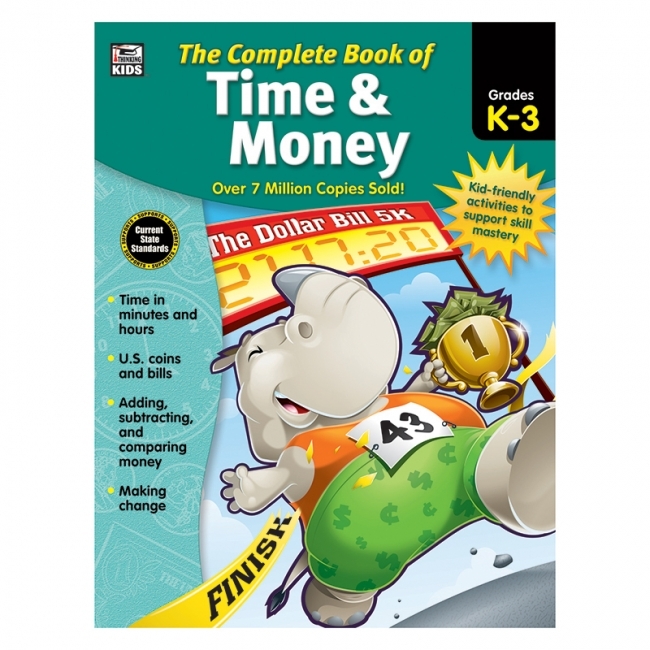 With easy-to-follow instructions and high-interest content, The Complete Book of Time and Money encourages independent study and keeps your child interested in the process. To help you support this process, this comprehensive learning guide tracks progress and identifies areas that need additional attention. --The Complete Book series offers an engaging way for children to acquire knowledge and strengthen essential skills. This series features activities that encourage independent learning and support skill mastery in Spanish, handwriting, maps, geography, the alphabet, numbers, counting, time, money, and arts and crafts. Each subject-specific, comprehensive workbook offers focused instruction and fun activities. The books in this series feature full-color photographs and illustrations that hold attention while children learn important concepts. --With The Complete Book series, students have the support they need for school success! Geared 12-hour clocks are designed to provide powerful models for learning to tell time. 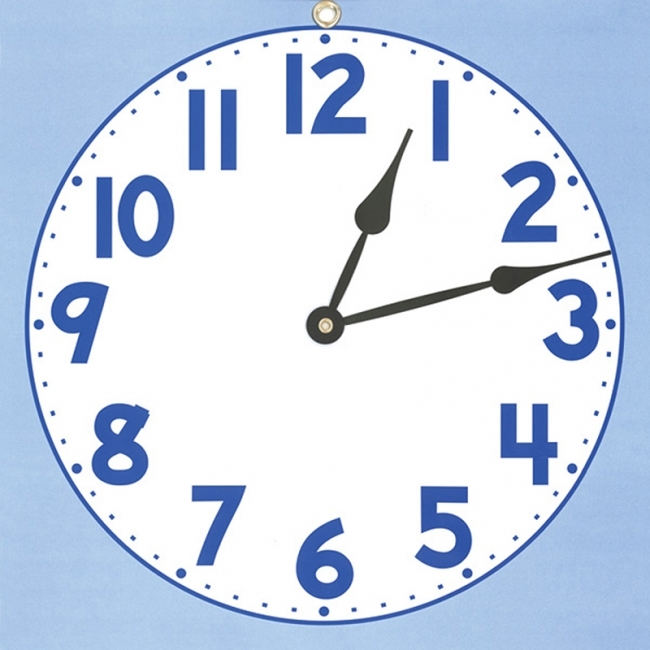 Clocks are constructed with gears that replicate an analog clock's movements, making the clocks realistic and engaging to watch. 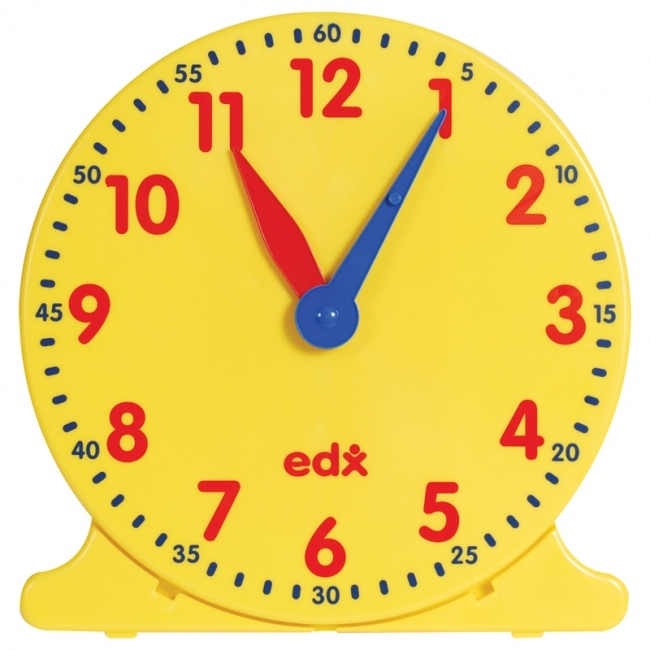 The easy-to-read clock face and minute markings help students see the relationship of the hour hand and the minute hand as they move around the clock. 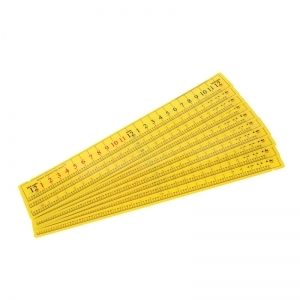 Contents include set of 6 measuring 4.33" diameter each. 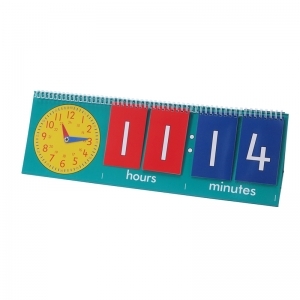 This geared 12-hour clock is designed to provide powerful models for learning to tell time. 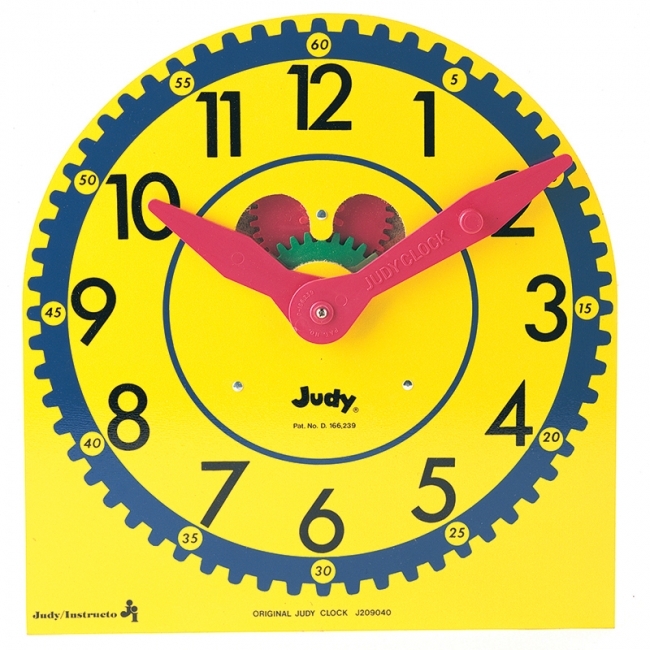 Clock is constructed with gears that replicate an analog clock's movements, making the clock realistic and engaging to watch. 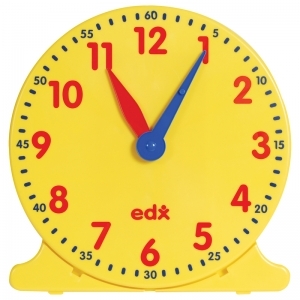 The easy-to-read clock face and minute markings help students see the relationship of the hour hand and the minute hand as they move around the clock. Measures 11.81" diameter. 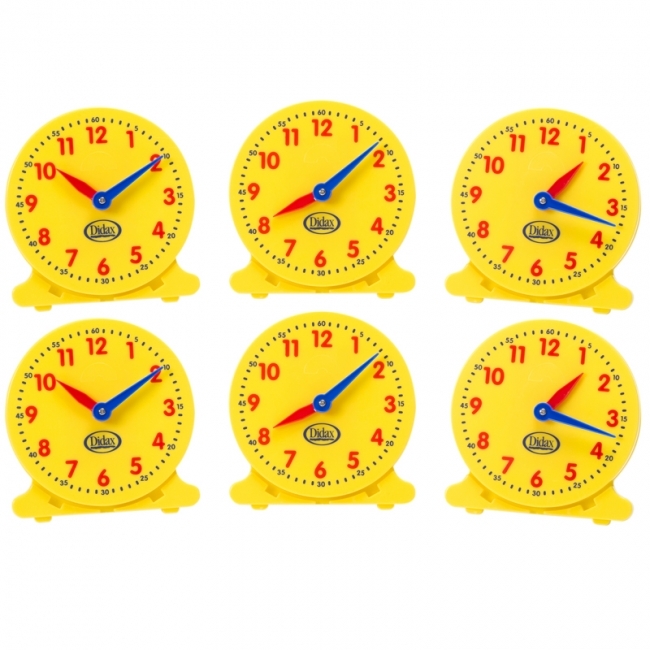 Geared clock is designed with easy-to-read clock face and minute markings to help students see the relationship of the hour hand and the minute hand as they revolve together around the clock. 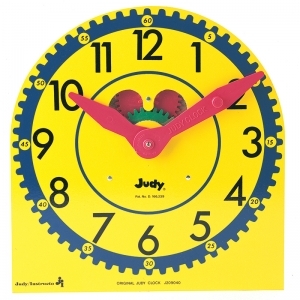 Made of durable molded plastic with color-coded, geared hour and minute hands. 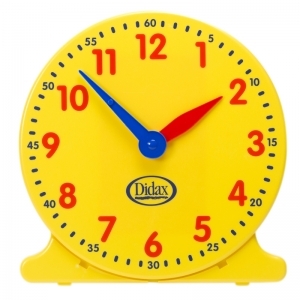 Contents include 1 geared demonstration clock. 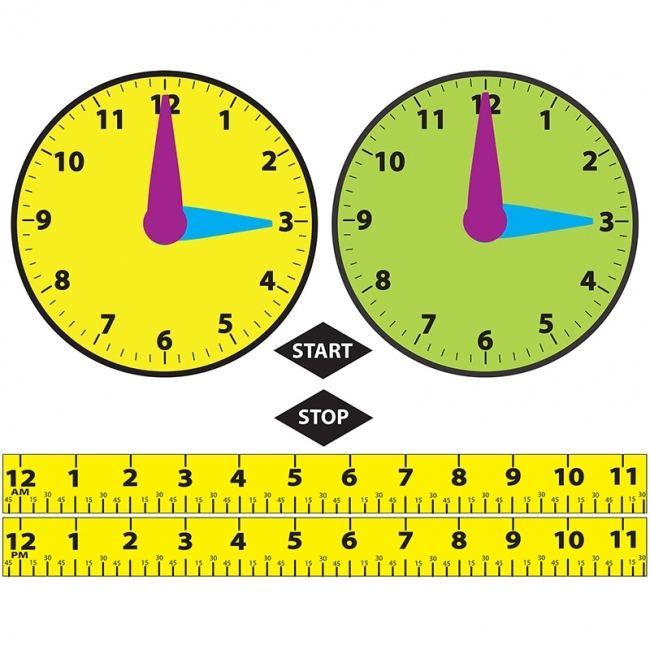 This unique, write on wipe off time tool allows students to measure and teachers to demonstrate time in a number line format where they can visually see where the time goes! Set of 10. The hands of the 12-Hour Student Clock move together on a gear to maintain accurate hour and minute relationships. Ideal for teaching young students the concept of telling time. Measures 5" diameter. Durable plastic. 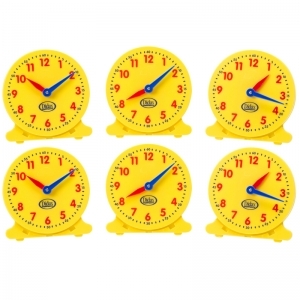 Each set includes 6 clocks. 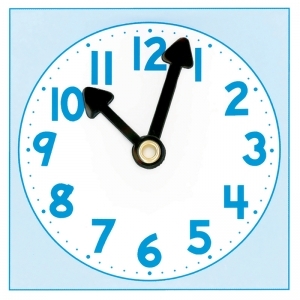 The hands of the Demonstration Clock move together on a gear to maintain accurate hour and minute relationships. 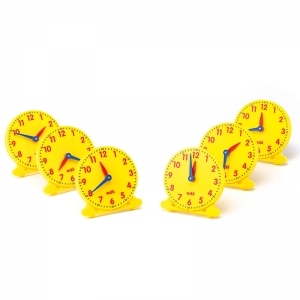 Ideal for teaching young students the concept of telling time. Measures 12" diameter. Durable plastic. 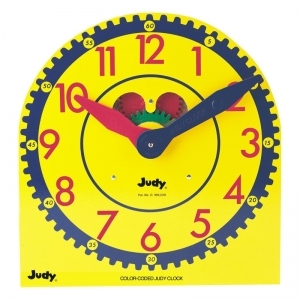 Our famous Original Judy Clock is still a favorite amongst students and teachers. The Judy Clock makes learning to tell time simple and fun for children. 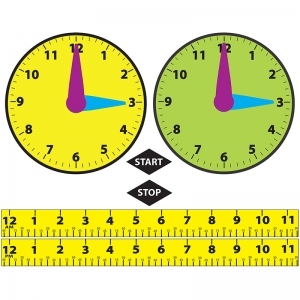 Visible functioning gears maintain correct hour hand and minute hand relationships. 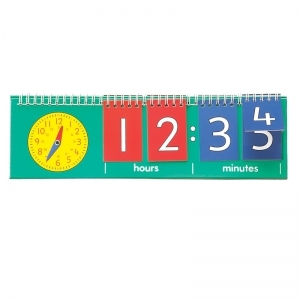 Easy-to-read numerals show elapsed time in five-minute intervals. The permanently assembled wood clock is 12 3/4" x 13 1/2". Handy metal stand and Teaching Guide are included.